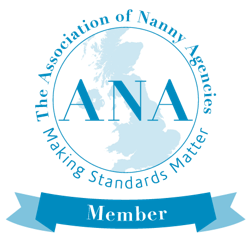 It’s fair to say that the immense hard work and effort of nannies for their employers is not always as recognised as it might be, not because of lack of appreciation, but sometimes just because the times when parents see nannies at the start and end of the day can be a rushed exchange of thoughts at a stressful time of everyone’s day! However, Christmas is a really good opportunity to show your nanny your appreciation for her hard work. With the festive season in full swing, you may already have decided on a Christmas present for your nanny. But for those of us who may not be QUITE SO organised, here are a few thoughts on things for that wonderful person who keeps our lives running smoothly. A Christmas bonus – should you pay your nanny a bonus each year? Well, this is a matter of personal preference and, of course, it will depend on your own financial circumstances. Nannies do not automatically expect to be paid bonuses. However, many families do choose Christmas as a time to show their appreciation for their nanny’s hard work – for families with working parents, many will themselves receive a Christmas bonus from their employer so why not pass on some of this to your nanny? Amounts vary, but as a guideline, around one week’s pay would be considered by most nannies to be very generous. One note though on bonuses – it is a good idea to make sure it is clearly marked out as a bonus for her hard work over the year, rather than a Christmas present, and a little thoughtful gift to go with it is always appreciated. Vouchers for a favourite shop – for families who may not be able to afford a large bonus for their nanny, how about some vouchers to enable them to buy something of their own choosing? Some families prefer this to plain cash, but it still means your nanny can choose something lovely for herself. An experience – for example theatre tickets, a voucher for a massage or spa treatment, a meal out with her partner – all make super and thoughtful gifts which show that you understand what your nanny likes and to give her a real treat outside of work! Something home made from the children – nannies love children and are generally hugely appreciative of anything which has been prepared with love and thought by their charges. How about some home made sweets or truffles in a hand decorated box? A lovely bottle of wine (or a few) and some lovely chocolates – probably well earned!